One of the craziest stories of the NBA offseason involved Matt Barnes getting into a fist fight with his former Lakers teammate (and current Knicks head coach) Derek Fisher. The incident took place at the home of Barnes&apos; ex-wife Gloria Govan, and reportedly went down because Barnes was unhappy with the fact that Fisher was dating the mother of his kids. Fisher had largely refused to talk about it, while Barnes would say later, "We&apos;re two grown men who should have handled two grown men&apos;s business, but he wanted to run and tell the cops and the NBA." Almost three months later, it appears that the league has concluded its investigation, and that Barnes will be punished for initiating the confrontation. 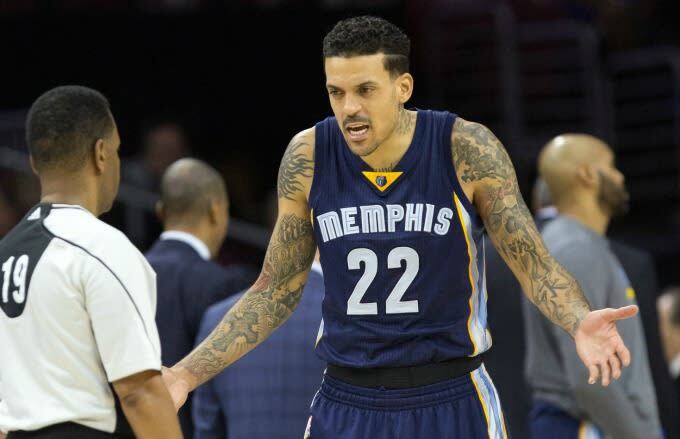 The NBA has suspended Memphis Grizzlies guard Matt Barnes two games for a physical altercation with New York Knicks coach Derek Fisher at the home of Barnes&apos; estranged wife in Southern California in October, league sources told Yahoo Sports. Fisher had flown to Los Angeles on an off day of Knicks training camp and was visiting with Barnes&apos; estranged wife, Gloria Govan, with Barnes&apos; children at the house. The suspension will cost Barnes about $64,000 in lost salary, but that&apos;s not what will annoy him about all of this. Barnes constantly feels like his actions are unfairly punished, and that line of thinking will probably continue since Fisher (at least to this point) has been seen by the NBA as being completely innocent.